Our first reaction when we read that Facebook has launched a new Facebook Lite Android app, was that this is old news because it exists (or existed) already. So we searched and found this – a simple version of the Facebook website that was trialed and shut down in April 2010 – and this – a Facebook java app for feature phones that the company got through an acquisition of a once very popular Snaptu. So anyway, this is new. The number of downloads in the Play Store was just 10,000 this morning. The TechCrunch article on the app says it’s been launched in only 8 countries, 4 of which are in Africa: Zimbabwe, Nigeria, South Africa and Sudan. The other are Asian countries Bangladesh, Nepal, Sri Lanka and Vietnam. Being in Zimbabwe, we can confirm that the app is available for download in the Play Store and we are using it already. It’s basically good news for the hundreds of millions (billions even) all over the world still suffering slow and expensive 3G. The app is meant to use as little data and processing power as possible to provide a decent Facebook experience. This will surely by my default FB app from now on. We have no idea yet though how much little data it consumes compared to the regular app but anything that’ll make us part with less for data is welcome. 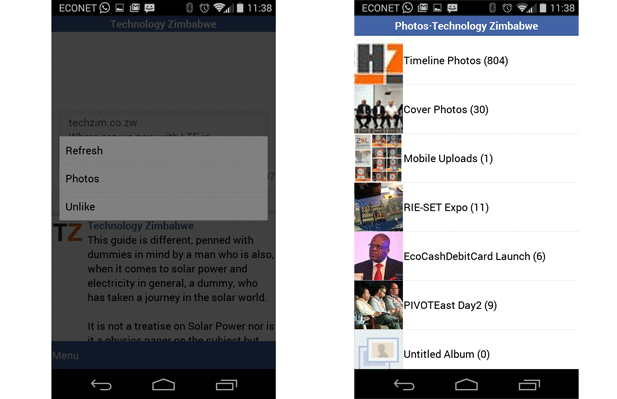 We think Facebook Lite is set to be the most popular app especially in Africa, South America and Asia. 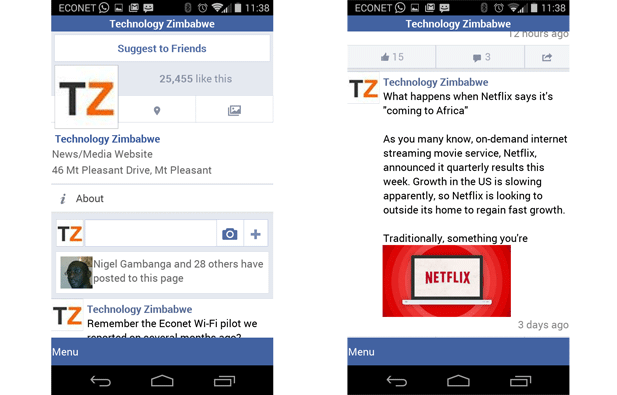 Mobile data here (for those you reading this from outside Zimbabwe) can be as expensive as US 15 cents per megabyte. Which brings us to an interesting discussion we’ve been having these past few months on net neutrality. 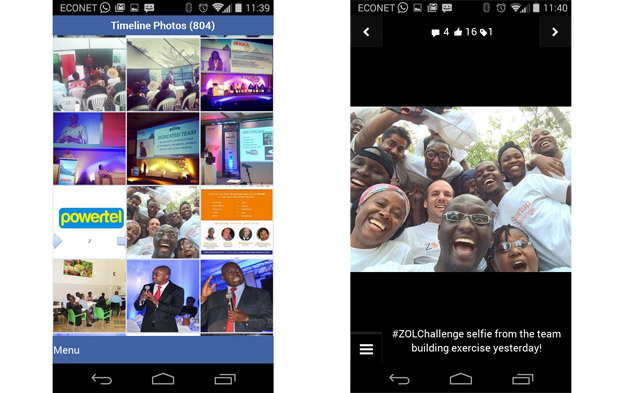 You will remember that Facebook recently launched Facebook Zero in Zambia (next door) via mobile operators, an anti-net neutrality move somewhat similar to a bundling concept that operators in Zimbabwe are practicing. 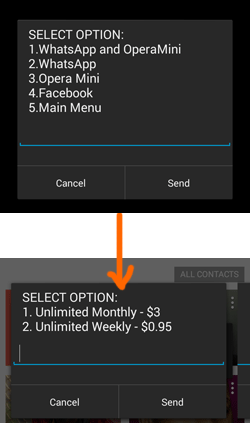 In short, there’s actually a cheaper option than Facebook Lite if you’re willing to buy just Facebook access without the wider internet for $3 a month flat. 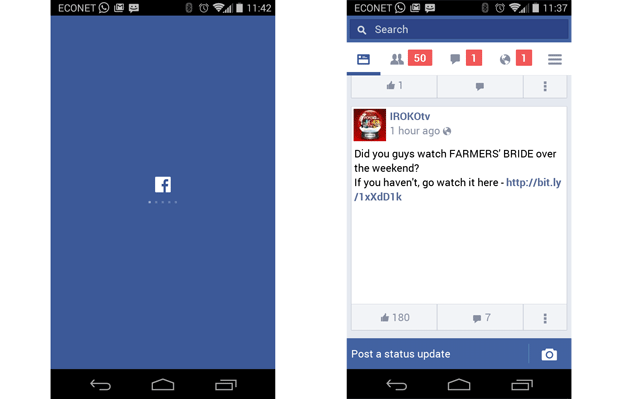 Essentially, we think Facebook Lite is the way to go. It’s way better than Facebook Zero, and bundled Facebook because it puts the work of optimising apps for the network in the hands of the developer of the app and not the operator. Being a digital marketer, I would want to see how it presents our ads to the audience, any difference? …and of course Facebook is free on biNu at the moment.